I decided to create this blog post for a couple of reasons. Firstly due to my love of elephants, which are just the coolest animals on the planet. Also the elephant has become newsworthy in Australia, with two elephants at Sydney’s Taronga Zoo and one at the Melbourne Zoo having recently given birth. Both Melbourne and Taronga have other elephants that are pregnant and will give birth before 2010 has ended. These are said to be the first elephant births ever to have occurred in Australia. In future posts I will also explore the plight of these animals in the wild both in Africa and Asia. One issue that is especially dear to my heart is the fate of the rare Borneo Pygmy Elephant due to the loss of habitat for palm oil plantations. 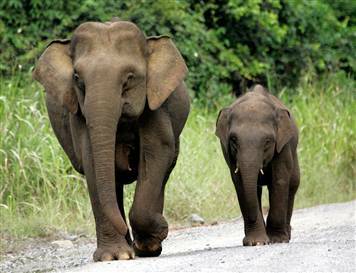 Of course Palm Oil plantations affect other animals (tigers, orangutans, etc) in various Asian countries too, but the elephants in Malaysia’s Sabah state will be the ones I will focus on. I also hope to talk about the controversy surrounding the elephants in Sabah’s Lok Kawi Wildlife Park (ie they are pygmy elephants taken from the wild). I will also explore the issue of pygmy elephants being captured and sent to zoos in China and Japan back in 2003. I do have other issues and things to cover but this is probably enough for now. I hope to do a thorough research in each of these posts that I do so I may be very slow updating. Hopefully I will do a follow up on this soon. Here’s a story about the reformation of the Clown Prince of Crime, however he does not consciously decide to go straight. Unfortunately an amnesia angle is used, which as Mick Foley says, never works out very well. P & I went to the Melbourne Zoo today. This is the first time that we have been since February 2007 and the first time that we got to see the baby elephant Mali. She is so cute! I notice that Yakini, the gorilla who was born here a few years ago has been moved and Rigo is the only silverback in the gorilla group. 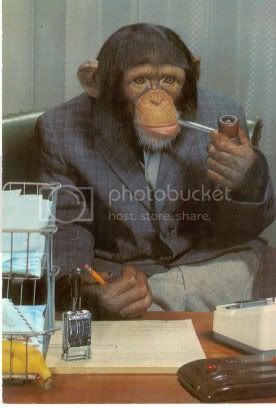 Apparently the rest of the male gorillas are going to Werribee to form a bachelor group. Oh, and that Giant Tortoise is doing what it looks like it is doing. They can move very quickly when they are horny. The terrified female tried to get away but she didn’t stand a chance. Modern Times was Chaplin’s final ‘silent’ film. Although it does feature some sounds and voices and even a (nonsensical) song from the little Tramp it is essentially a silent film. It is also a very brilliant film and is very funny. A Lot of the comedy has to do with the mechanisation of the modern world, and there is the iconic scene where Charlie goes through the giant cogs of the machine, but the funniest stuff has to do with the element of hunger and food. The scene where Charlie eats his lunch with the aid of the eating machine at the start of the film is funny, as is the scene where the Tramp has to feed his co-worker who has become trapped in the machine thanks to Charlie. I also think that Paulette Goddard is very good in the film as the Gamin (whatever that is), as well as being very beautiful. I especially liked her feisty performance. The film is perhaps Chaplin’s most critically acclaimed film and whilst I do enjoy it a lot I probably like City Lights and The Circus a little bit more. 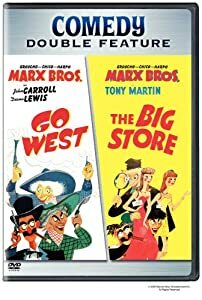 I love the Marx Bros. and even though Go West isn’t their best film it still has its enjoyable moments, especially when Groucho, Chico and Harpo are together. Their antics are as funny as usual, it’s just that when they are not on camera the film is not very interesting. And that is the problem with all the MGM Marx Bros. films. When the Marx’s are not on-screen there is usually some terrible side romance plot between a couple of really boring actors. Worse is when they have to sing, which is something that I never understood about Marx Bros. films. Why do they feature these horrible songs sung by the supporting players? Usually the Groucho would have a really funny song or two that he would sing in each of his films but that is sadly lacking in Go West. We do get Chico playing the piano and Harpo playing the harp, which like the non-Groucho songs force a viewer to press the fast forward button. I really shouldn’t complain about this as it is a feature of all of the Marx Bros. MGM films. Instead I should be talking about the funny stuff like Groucho’s snappy one liners and Chico and Harpo fleecing their brother with the $10 bill at the railway station before they head west. There is also the destruction of the train at the film’s finale that is a kind of iconic image in cinema history. It is a funny film if you can put up with the lousy singing and boring instrument playing. I explained the other day the trouble that I have been having in the last few days. Things have been a bit difficult and I have fallen a little behind on my schedule. I am endeavoring to catch up as quickly as possible. It should be three weeks before my roof is repaired after the damage that it received after being battered by last week’s storm. I’ve still been watching movies but not been blogging about the experience so I am a little behind. It will take me a little while to catch up. The Great Dictator was the first ‘talking picture’ that Charlie Chaplin made, over a decade after the Jazz Singer. Chaplin was the last person to make an (almost) silent film with Modern Times in 1936 but by 1940 he knew that he had to have characters talking. I think the reason why Chaplin took so long to speak (legibly) on film was because he was afraid that his Tramp would lose his mystique and charm. Many people claim that this film is the first Chaplin comedy that doesn’t feature the little Tramp yet the Jewish barber character is really the Tramp even if he’s not wearing the baggy pants and bowler hat. The real comedy character in this film is not the Jewish barber, as every scene he is in is much too sentimental and schmaltzy, but the character of the dictator, Hynkel, proves that Chaplin could do verbal comedy as well as anyone else at the time (Groucho Marx and W.C. Fields included), as well as his brilliant physical comedy. I especially like where the dictator is addressing the crowd in faux German and some nonsensical English comes out. Brilliant. By 1917 Charlie Chaplin had starred in several successful short comedies, yet it was this film that shot him to superstardom. It features a tale of a poor immigrant who travels to America to seek his fortune through the boundless opportunity provided in the land of the free. Charlie was still refining his art so this film feels a lot like the typical silent slapstick film of the early part of last century. The Tramp character had started to develop into a character, more than just a gag. Chaplin started to use emotion and pathos in his comedies at this time which helped to distinguish them from their contemporaries. This short may not be as great as The Kid, City Lights, The Goldrush or Modern Times but it is funny and shows Chaplin just as he was before he became his most creative.